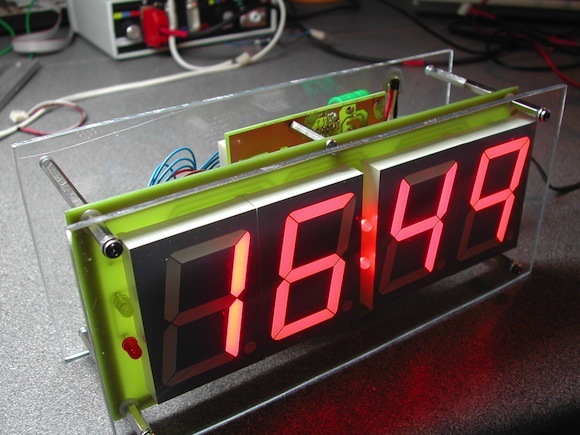 This DIY digital clock plus thermometer is designed by Joe Farr and is based on PIC18F25K22 microcontroller. The complete construction details of this project including circuit diagrams, PCB layouts and PIC firmware are posted in his website. He developed his firmware using Proton PIC BASIC compiler, which is available for download for free for this particular PIC microcontroller. He uses DS1302 RTC for timekeeping and DS18B20 for temperature measurement. 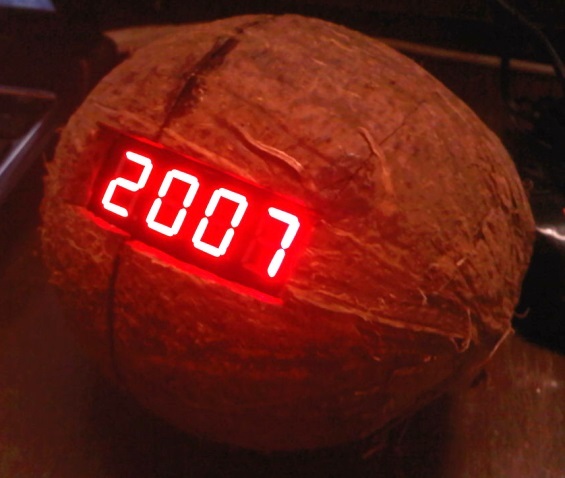 The temperature and time are displayed on four 2″ seven segment LED displays. 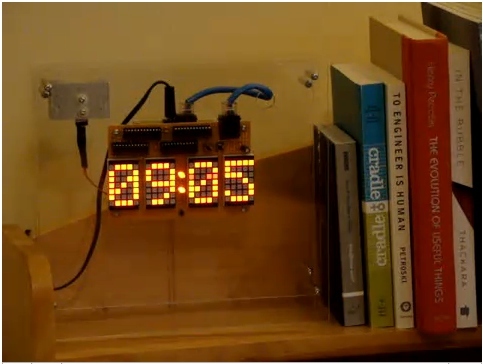 This is an Arduino powered 24-hour digital clock that uses the RTC chip DS1307 for timekeeping. DS1307 has a small battery backup so that it keeps the correct time even the rest of the circuit is not powered. The time is displayed on 5×7 LED dot matrix. The ATMEGA168 controller and the rest of the circuit is powered by a 9 volt 650 mA power supply with a LM7805 regulator IC.